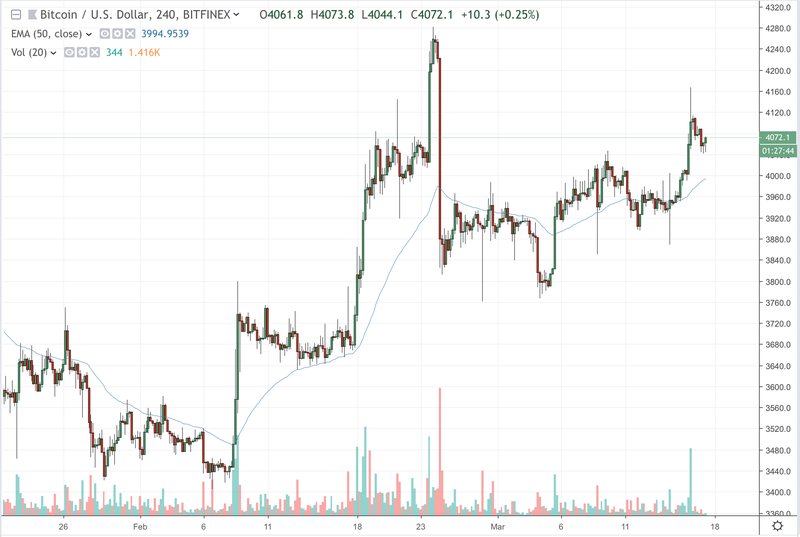 There is a noticeable correlation between Bitcoin’s latest jump and Bitmex Futures, believes Luke Martin. The renowned cryptocurrency analyst said Thursday that Bitcoin price moved north right after Bitmex launched its September futures, XBTU19. Martin noted that the bitcoin market underwent a jump in volume and volatility after the XBTU19 went live. He also identified two similar events in the past in which the beginning of new futures contracts coincided with increased volatility and volume in the Bitcoin market. Martin referred to a Bitmex June Futures contract (XBTM19) which went live on December 18, 2018. The bitcoin price rallied up to 34 percent after the futures trading began. In the same month, on 27, other Bitmex futures (XBZ18) expired. Soon after the expiry, the bitcoin price jumped 8 percent. Bitmex XBTU19 started trading Friday. A day later, bitcoin price jumped above $4,000. 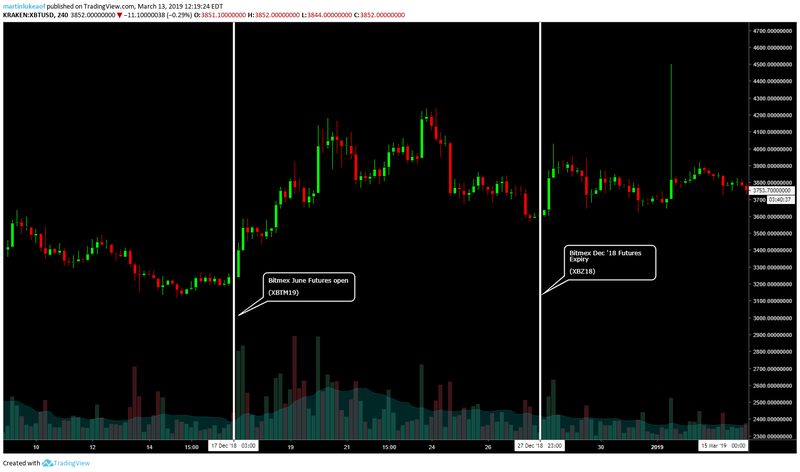 5/ $BTC move started right after new Bitmex quarterlies started trading. Identical pattern to previous two events highlighted in the thread. Mark this on your calenders going forward as it's clearly an event the market is paying attention to. BTCVIX, a popular crypto Twitterati, criticized Martin’s analysis for using just two data points: June Futures expiry and December Futures open. The critic also noted that Bitmex bitcoin futures lacked substantial volume to have such a significant impact on bitcoin spot markets. 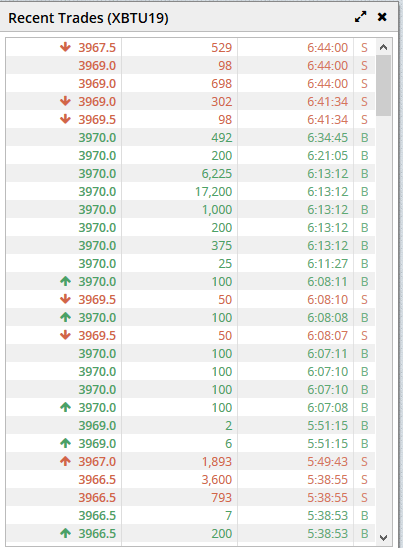 At just 25-30 orders, there was no way bitmex futures traders could have fueled the bitcoin demand across exchanges. Martin held his guard, arguing that his analysis was more about spot traders’ psychological reaction to Bitmex futures contracts. You are correct, only 2 data points in the past I was looking at. Regardless the relationship and reaction held true. Maybe now you understand that I'm not making an argument, but presenting an objective observation of truth? Overall, the analysis attempted to present what could be one of the many million theories to predict bitcoin price action. In the end, the cryptocurrency remains an asset with one-too-many surprises under its sleeves. The post Bitcoin Rallying Above $4,000 Could be Due to Bitmex Futures: Analyst appeared first on NewsBTC.